A lot of people want to know why it can become expensive to remodel a bathroom. This article will explain some of these reasons and the attached video will show you a portion of what can contribute to the cost of a bathroom remodel. To simply replace a sink, install a new vanity in place of an old one, replace a toilet, retile a shower or tub … these are relatively simple things and there is nothing that dramatically increases the cost of the work apart from some basic demolition (deconstruction) work that may need to occur first. However, in the example that can be viewed in the attached video, we actually more than double the size of the master bathroom by removing the wall between the existing master bath and master closet and combining the two spaces into one large bathroom. We then changed the location of one of the doors and removed another of the doors that were located on the wall between the bathroom and the bedroom itself, so we essentially had to replace half of that wall as well. Then, due to the extent of the new electrical work that was done, it was easier to remove all of the sheetrock in the area in which the work was being performed than to leave a few small areas in which the sheetrock did not have holes in it. The shower, the vanity and the toilet were all relocated and we also added an additional sink. In this specific instance, we were lucky in that there is a second bathroom in the home that backs up to the area that we are remodeling and we were able to use some of the water lines and drain access from that bathroom to our advantage. This helped to alleviate some of the expense of the work that we did. As you can see in the video, we are essentially doing another plumbing rough-in (the plumbing that is located below the slab or floor) of the area in which we are working. In this specific instance, there was really no other option than to move all of the major element locations of the bathroom during the remodel due to the small and cramped size of the previous bathroom. Anytime that you are required to break through and remove existing concrete to rework plumbing lines that are located under the slab, it is going to become expensive. If at all possible, you will save significant dollars when remodeling your bathroom if you can keep the plumbing in its current location and minimize the amount of concrete that must be removed and replaced. Additionally, there are certain selections that you can make that will impact the cost of your bathroom remodel. For instance; polished chrome fixtures are less expensive than oil rubbed bronze fixtures, a fiberglass-based shower is less expensive than a tile-based shower, fiberglass shower walls are less expensive than tile shower walls, a white toilet is less expensive than an almond toilet, a tile vanity top is less expensive than a granite vanity top … the list could go on. In this bathroom, we will be replacing the existing floor with Saltillo tile to match the tile in the rest of the home, placing a 3cm granite top on the new double vanity and will be using a nice porcelain tile with decorative accent pieces in the shower as well as for the backsplash on the vanity and surround to frame the mirror. We will use under mount sinks, Delta plumbing fixtures and be adding recessed lighting as well as two exhaust fans, one of which will have a heater. An electric radiant heating pad will also be added under the floor tile so that the bathroom will have warm floors in the winter time. Additionally, the bathroom will be completed rewired to accommodate the additional electrical load that will be required within the bathroom itself. So, as you can see, the scope of work in a bathroom remodel can literally entail something as simple as replacing the plumbing fixtures and toilet to something as complex as knocking out walls and breaking through concrete, it is entirely dependent upon what the client may want. For that reason, it is very important to work with someone whom you can trust and who will clearly explain to you exactly what things cost and why they cost what they do. You should also be prepared for and understand that in any type of remodeling work, there are unknowns that you may not be able to see and/or foresee and this is why you need to have a clear understanding with your contractor as to how unforeseen situations will be handled and billed for. With proper planning and the right team of people in place, a bathroom remodel can be an enormously rewarding, enjoyable and exciting experience. Happy Remodeling! 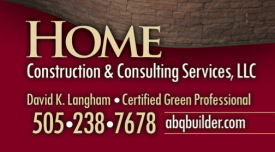 ← What is a Certified Graduate Builder (CGB)?